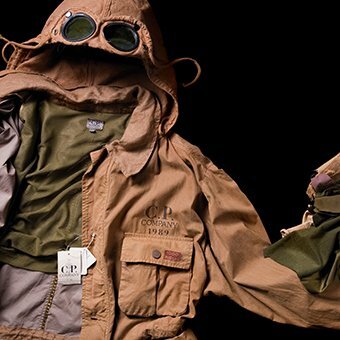 Invented by Massimo Osti in 1987, the Explorer jacket is the first goggle jacket model ever produced by C.P. Company and one of the defining moments in the brand’s history. 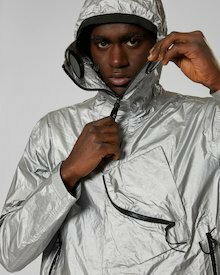 Inspired by a Japanese Civil Defense hood, the Explorer distinguishes itself from its more iconic cousin – the Google jacket, developed by Osti the following year in 1988 – thanks to its integration of the lenses into the collar of the jacket instead of the hood. 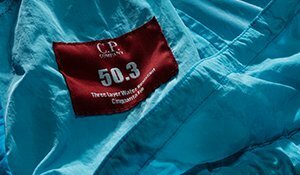 This type of process is slightly more complicated and for this reason the jacket has been included in C.P. 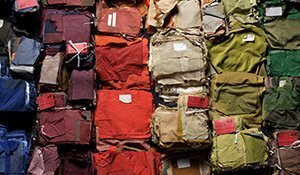 Company collections only occasionally since 1987. 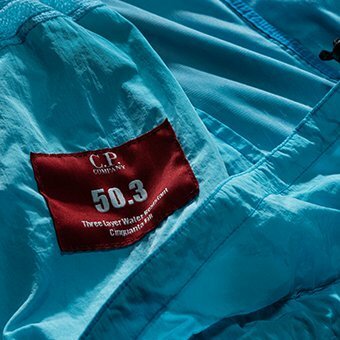 The 2018 edition of the Explorer is really particular: not for its design, which faithfully adhere to the original archival model, but for the way in which the technical outdoorswear concept of fabric zoning has been combined with complex, two-yarn, garment dyeing to produce a much more aggressive and performance-oriented piece. 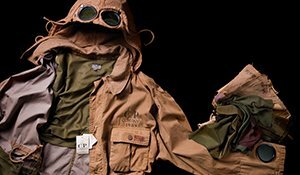 The most exposed areas of the jacket, around shoulders, hood and chest have been reinforced through the use of Nylon B, a proprietary C.P. 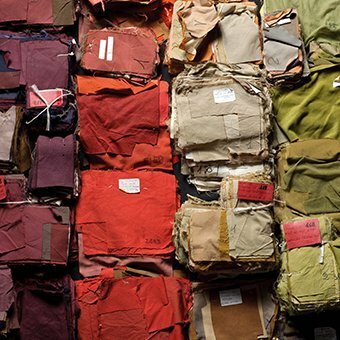 Company fabric tuned-for-garment-dyeing version of the nylon sateen, used in military issue flight jackets, whist the bottom and back of the jacket use our signature cotton-nylon 50 fili fabric. 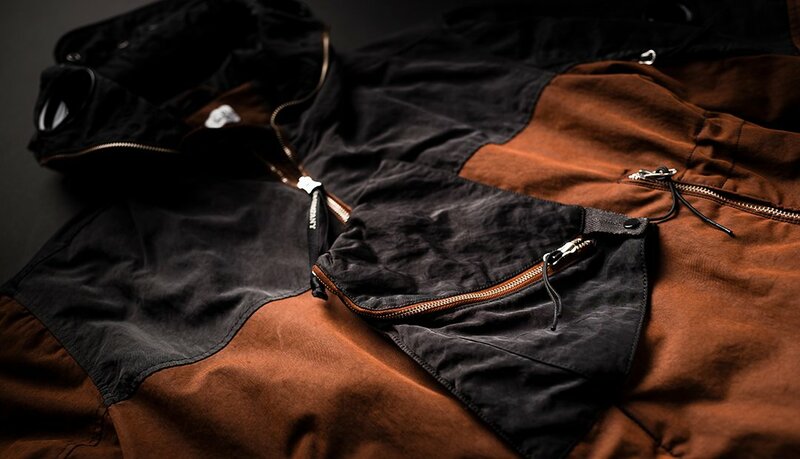 The jacket is garment dyed using a two-colour recipe: black for the nylon and burnt orange for cotton. Thanks to the use of the nylon in the warp of 50 fili, the burnt orange takes on an even darker, earthlier tone, itself a nod to the origins of the goggle jacket.